Author and neurologist Oliver Sacks has died at the age of 82, according to The New York Times and other sources. He was already familiar to many readers from books like Awakenings and The Man Who Mistook His Wife For A Hat, but Sacks became even more widely known this past February, when he announced—via an op-ed for The New York Times—that he had terminal cancer. Sacks was born in 1933 in London, and earned his medical degree from Queen’s College, Oxford University. After residencies and fellowships in California, he moved to New York City, where he began practicing as a neurologist in 1965. In 1966, he began working in a chronic care hospital, where he treated a group of patients who had survived a pandemic of a form of encephalitis known colloquially as “sleepy sickness” (not to be confused with sleeping sickness). He treated them with the experimental drug L-dopa, which gave his statue-like patients a temporary rebirth. His 1973 book was adapted into the Robin Williams and Robert DeNiro film Awakenings in 1990, which garnered three Oscar nominations. It also inspired the play A Kind Of Alaska by Harold Pinter. 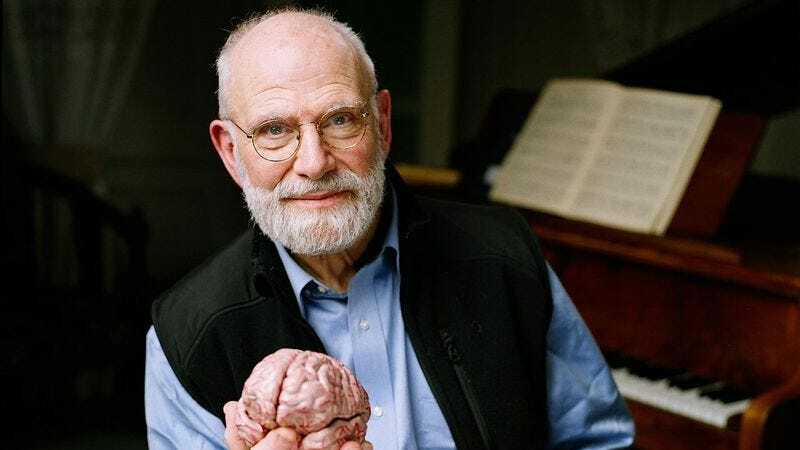 Sacks occupied a place in popular culture that The New York Times called “the poet laureate of medicine.” More than just a well-known scientist and author, Sacks’ writing—particularly his case studies—were full of scientific curiosity but also humanity and tenderness. The underrated Island Of The Colorblind epitomizes the kind of clear inquisition Sacks became known for: A lover of islands both metaphorical and real, Sacks travels to a tiny Pacific island and the island of Guam. The former contains a community of colorblind people, and the latter a common progressive neurodegenerative disease whose origin is unknown. Like many of his books, Island Of The Colorblind reads as a travel narrative, a medical inquisition, and a philosophical reflection of humanity’s place in this world.